Our first bottling under this designation comes from a unique vineyard situated high on the Green Valley ridgeline, in an area and climate more commonly planted to Pinot Noir. 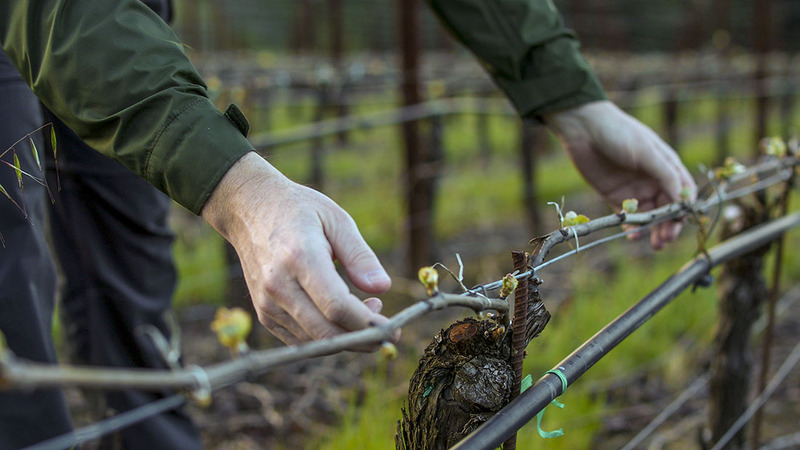 The four year old vines, planted in pure Goldridge sandy-loam amongst our favorite Pinot sources, produced such astonishing intensity of flavor and dynamic structure that it was clear that a small inaugural bottling was warranted. Situated on a cool plateau that receives great sunlight intensity throughout the day, yet critically, remains cool and breezy – this is clearly a climate driven site with a strong natural personality. An intriguing combination of two recent Northern Rhone clonal imports and two traditional Californian heritage selections, the elements that each clone brings to the blend create the breadth of flavor and power we see in the wine. The 470 clone is direct in its concentrated rich blackberry liqueur fruit; the 877 is backward, brooding and densely structured, the Estrella is ethereal and explosively aromatic; and the Syrah Noir adds an element of Rhone-like gaminess and earthy subtlety. The blend is one of striking cool climate aromatic intensity – accentuated by the cool, moderate growing season great purity of sunlit fruit and powerfully assertive youthful tannin. We anticipate as the vines age, we will see steadily increasing density in the wine and increasing fruit extract. Currently youthfully tight, I recommend cellaring for two years and then drinking over the following eight years, such is the level of structure in this young wine. Purple/black color. Effusively aromatic with great floral, wild berry and dried herb aromas. The palate opens with wave upon wave of high-toned blueberry and blackberry fruit leading to a smoked meat and graphite edge. There is tremendous energy throughout the length of the wine with powerful inner mouth aromatics and vibrancy. The finish features solid, youthfully assertive, chewy tannins.